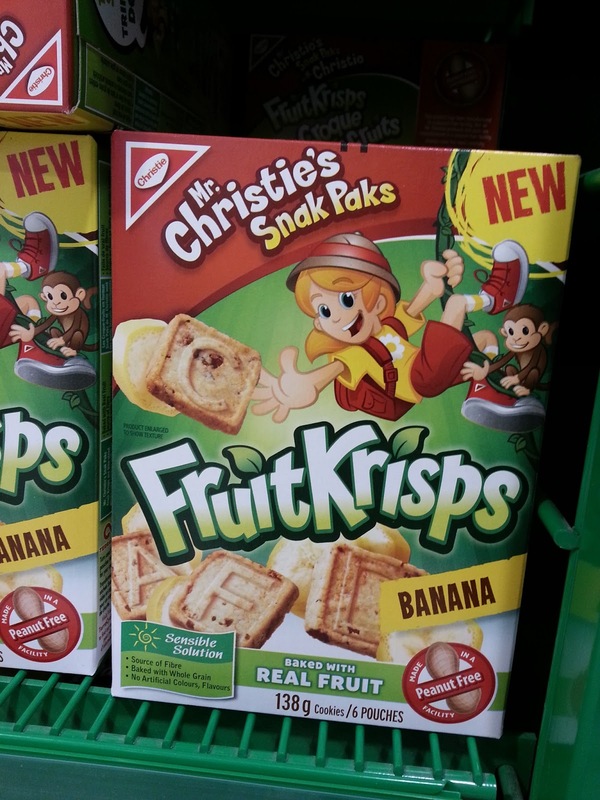 Weighty Matters: Badvertising: Christie's Now Calling Cookies "Fruit Krisps"
Badvertising: Christie's Now Calling Cookies "Fruit Krisps"
In case last week's posting of Cherry 7-Up Antioxidant still didn't convince you the food industry will say or do anything to sell food, here are Christie's new "Banana Fruit Krisps". 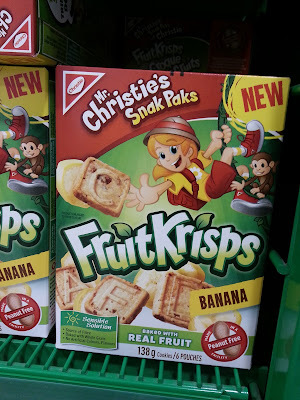 You know you have to hand it to Christie's marketing department as their new "Banana Fruit Krisps" sure do make cookies sound more healthful, especially since they're made with "REAL FRUIT" and are a "Sensible Solution". 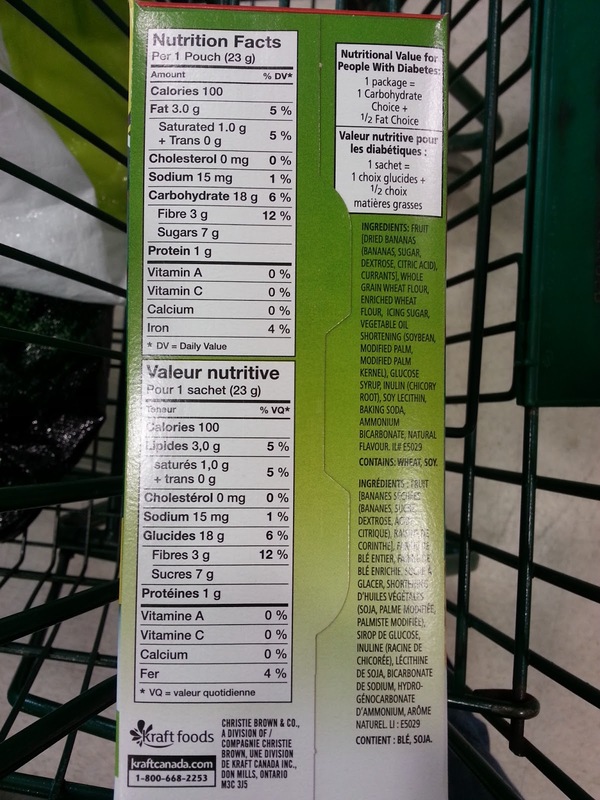 Because that's what they are - cookies - as Banana Fruit Krisps' calories and sugar content are virtually identical to Chips Ahoy's, yet I'm pretty sure these are meant to sound good for your children, whereas Chips Ahoy - at least those you know are treats.